At the just ended Zimswitch Payments Conference, Zimzswitch introduced a new system that is meant to deal with the processing of bulk payments: ZEEPAY. We didn’t get to demo the payment system but it is definitely interesting and Zimswitch’s entry into this field is exciting and could have many major implications in the battle to decide whether EcoCash (mobile money) can continue eating the banking sectors pie or there will finally be pushback from these traditional financial institutions. The system has been described as more a complimentary system that works on top of the existing Zimswitch platform. In essence, this is a new system that’s adding functionality to the services already offered by ZIPIT. The service allows Zimswitch to have a database of the employees within an organisation and then process their payments in one-go rather than the company having to manually process those transfers and deal with the risks that come with that. With a payment processing system like ZEEPAY, an organisation just gives them the database and they handle all those payments once every month or however often the company needs to make these bulk payments. If I were the bank, I would probably prefer Zimswitch’s system over Payroll, as EcoCash ensures that customers stay out of the ‘traditional’ banking sector. Think of it this way, if a person is already receiving their money through EcoCash Payroll there is a high chance that the person is now transacting from that very same EcoCash account. This is bad news for the banks because this removes them from the transaction chain and their revenues are affected and so forth and so on. ZEEPAY, however, doesn’t pose any threat to the banks because Zimswitch is not a competitor to them and is actually more of an ‘enabler’ –through ZIPIT- for banks so I think they will be welcoming this development with open arms. We’ve obviously noted that this system processes bulk payments but in terms of examples the obvious ones that stand out to us are things like processing payment of salaries or NGOs when they need to fund community projects or –as is the case nowadays- when they need to give monetary grants directly to people. Bulk payment wars on the horizon? There are also other players in this field such as Paynet –which is actually a partner for EcoCash Payroll-, Payserv, TPS (Transaction Payment Solutions) and the fact that Zimswitch felt there was an opportunity in this field probably means they are either banking on the strength of their relationships with the banks or their competitors are not upto scratch. With the resources that Zimswitch have, this is almost laughable. This tech existed 10 years ago. They need to become more innovative and come up with an actual payment processor similar to paypal. That is what is needed to compete with Ecocash. There is V-payments which is comparable to PayPal. It would gain a lot of momentum if businesses such as Air Zimbabwe, Airlink Zimbabwe were V-payments enabled. People will continue to shun thoz banks becoz charges are too high. 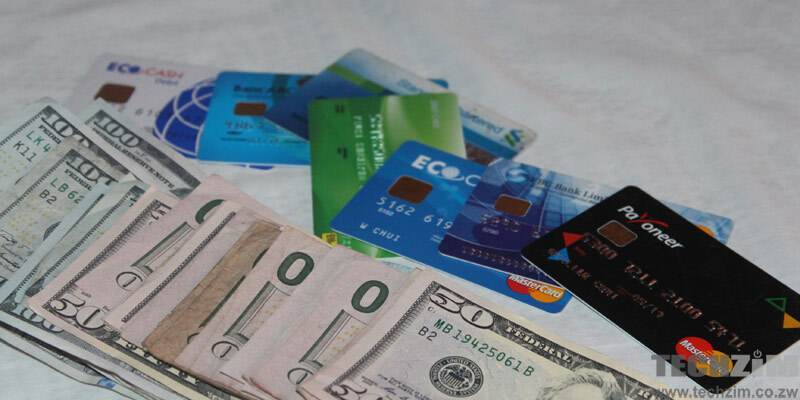 If you deposit $500.00 into you EcoCash today, it will still be $500.00 after 6months or so but put it into a bank account and check the balance after 6months, it will be $400.00 or even less. Banks are supposed to make money through investments not charges.